TNW Conference: Our final 2-for-1 ticket sale is tomorrow! 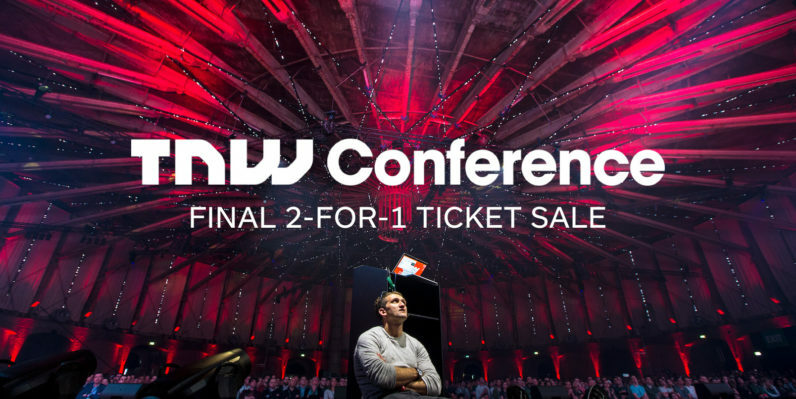 The final TNW Conference 2-for-1 ticket sale will take place tomorrow, December 15th, at 11am CET. Sign up here. In May 2017, 15,000 entrepreneurs, developers, marketing managers, CEOs and policymakers will flock to Amsterdam for the biggest, best edition of TNW Conference yet. They’re all looking to stay on top of the latest trends, meet their next client or partner, and connect with other people interested in the future of technology, innovation, marketing and imagination. In addition, we’ve just announced our first 15 speakers, including the CMO behind the phenomenally successful Pokémon GO, Github’s Co-Founder and CEO, the creative brains behind Refinery29, Nike’s brand new CTO, and many more. See them all here. And now’s your last chance to experience all this for half the price. Tomorrow at 11am CET, just 500 pre-sale packages will be made available on a first-come first-served basis. During our first 2-for-1 sale in October, we sold out in less than 30 minutes, so be on time! Claim your 2-for-1 tickets here.